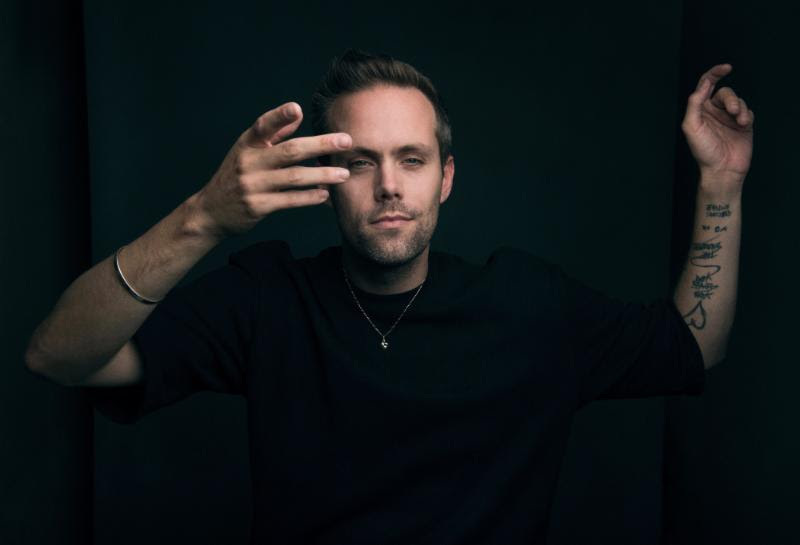 September 17, 2018 (Los Angeles, CA) – Golden Globe and Grammy nominated songwriter Justin Tranter will be returning to the school that saved their life years ago to pay it forward. Tranter has made a donation to The Chicago Academy for the Arts to fund a state-of-the-art recording studio and hire a part-time music teacher for the next three years. “The Justin Tranter Recording Studio” is set to be unveiled at a celebratory ribbon-cutting event at the school on Thursday, September 20th, 2018, and will feature current students demonstrating the studio’s capabilities as well as a performance from Tranter. After enduring horrible violence and bullying in public school as a teenager, Tranter transferred to The Chicago Academy for the Arts. The Academy provided a safe and creative environment; one that not only laid the groundwork for their musical passion, but ultimately saved Tranter’s life. This donation is their way of thanking the school and giving back to the kids that need arts in their lives now. This gift funds the conversion of three underutilized rooms, including a classroom and an office, into a cutting-edge three-room recording and production facility. The studio will house a control room, a tracking room and a four-station music production classroom. All of which will contain top-of-the-line music software and hardware for the students to use. Additionally, the donation will fund a part-time teacher to lead a “Contemporary Writing and Production” elective course that will debut this fall. For more information on Tranter and The Academy, visit HERE. As a student at The Academy, Tranter also created the AIDS Benefit: a student-run variety show that helps raise awareness and advocacy for HIV/AIDS. The event will host it’s 22nd annual presentation on September 21st, 2018. Since its inception, The Academy students have raised tens of thousands of dollars for AIDS research, support, care and organizations. 2018 has been an extremely busy time for the songwriter. Not only did they become the only songwriter nominated for both ‘Song of the Year’ at the GRAMMYS® with ‘Issues’ by Julia Michaels and ‘Best Original Song’ at the Golden Globes® with ‘Home’ from Ferdinand performed by Nick Jonas, but they also won “Songwriter of The Year” at the 2018 BMI Pop Music Awards for the second consecutive year. Along with “Songwriter of the Year,” Tranter also took home four more BMI Pop Music Awards that night, for co-writing Imagine Dragons’ “Believer”, Linkin Park’s “Heavy”, Julia Michaels’ “Issues” and Maroon 5’s “Cold” and was recently nominated for ‘Songwriter of the Year’ for Spotify’s Secret Genius Awards. Tranter’s 2018 co-writing credits include Imagine Dragons’ “Natural”, Julia Michaels’ “Jump”, Shea Diamond’s “Kesha Complexion”, Leon Bridges “Beyond”, Cardi B’s “Thru Your Phone” and Janelle Monáe’s “Make Me Feel”. In 2017 alone, Tranter landed four Top 10 smashes at Pop Radio and by year-end, the maverick garnered “Songwriter of the Year” at the BMI Pop Awards and stood out as “the only pop songwriter to land two songs on Variety’s ‘HitMakers’ Most Consumed List'”. They are currently in the studio working with Bebe Rexha and Gwen Stefani, among many others.